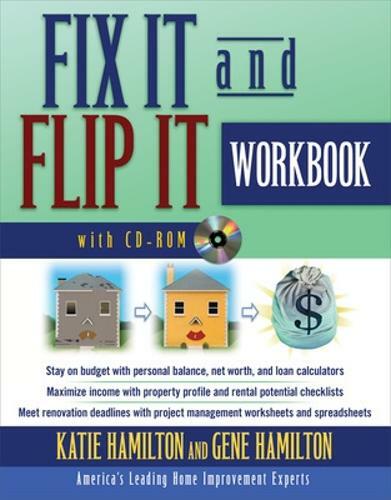 A real-estate classic, Fix It and Flip It is a favorite of those who purchase, improve, and sell properties for a profit. This companion workbook has all the worksheets, checklists, and spreadsheets to help you implement the strategies in the book. A bonus accompanying CD-ROM also includes all these documents, allowing you to print clean copies as often as you want. Designed for use with Fix It and Flip It or as a standalone investment tool, this hands-on system will ensure you get the most from your hard-earned investment.